Which Wedding Veil Should you Chose? 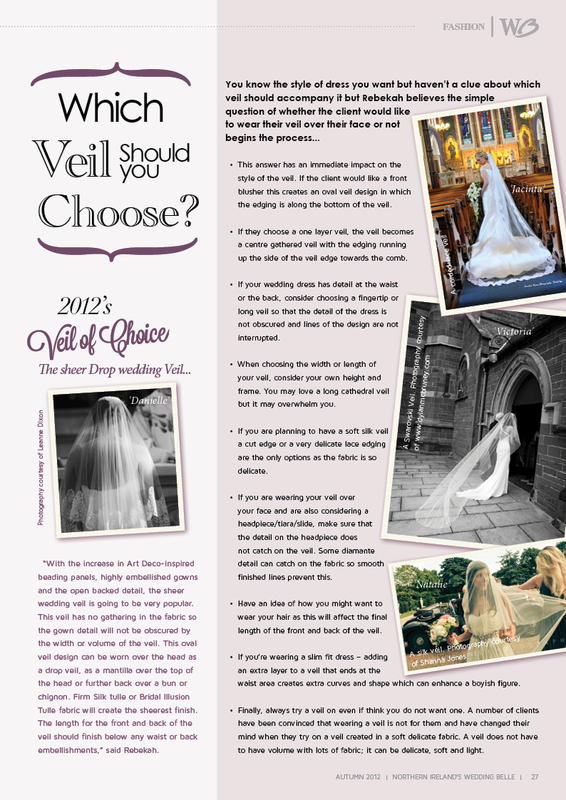 This article first appeared in Northern Ireland Wedding Belle Magazine Autumn Edition, September 2012, Rebekah gives her option on the which veil will suit each dress shape. Written by Laura Dunlop.